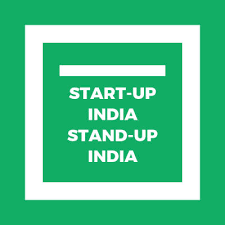 Panji-Startups are the new engines of growth for India. They will create real jobs and will also be socially and economically beneficial for the country stated Union Minister of Commerce & Industry & Civil Aviation in Panji. He was speaking at the inaugural function of the annual venture capital summit. He further said that startups will emerge as the new area of investment interest for investors from around the world. Suresh Prabhu declared Goa as the permanent venue for the Annual Global Venture Capital Summit. The Summit will take place in Goa on the first Friday of December every year. Shri Rohan Khaunte, Minister for Information and Technology, Government of Goa, Shri Dharmendra Sharma, Chief Secretary, Government of Goa, Shri Ramesh Abhishek, Secretary, Department of Industrial Policy and Promotion, Ministry of Commerce were present on this occasion. The Commerce Minister further said that India is a top investment destination in the world today. Twenty states have their Startup policy. Suresh Prabhu stated that infrastructure is the sector where India is developing at a faster rate and this is creating lots of opportunities for investors. He further remarked that India is one country where almost every citizen is an entrepreneur and where 600 million farmers and retailers take enormous risks. The fragmented Indian agricultural holdings provides great opportunity for startups to bridge the productivity gap by providing solutions using cutting edge technology like AI and drones. Shri Rohan Khaunte, Minister for Information Technology in his address said that, Goa is truly honoured to host the Startup India Summit. This will create opportunities to attract global capital to India and Goa. Our vision for Goa is to make the State a top Startup and IT destination in Asia by 2025. There is a massive thrust on facilitating entrepreneurship and enterprise to nurture growth, and create value and jobs.